Kate O` berg, 23, is from Oregon but is living in Minamisoma for the past two months working as English teacher and Cultural Ambassador in the nuclear affected city. The young woman arrived as a volunteer after the natural disaster occurred in March 2011 and was so touched by the courage and commitment shown by the people around her that she decided to do more than be a temporary helper. “I returned to Minamisoma when I was invited to be an English teacher by the city in December 2011. It was a natural step to take because I am passionate about the people I live and work with,” she said. Minamisoma lies 25 kilometers away, on the borderline of the evacuation zone assigned by the government after the Fukushima Dai-Ichi nuclear reactor that was hit by the massive earthquake and tsunami last year. The local community has been badly affected by the nuclear accident that has caused high radiation levels close to the damaged reactors. O` Berg arrived and stayed in the area when people including foreigners were leaving to escape the health risk from radiation. 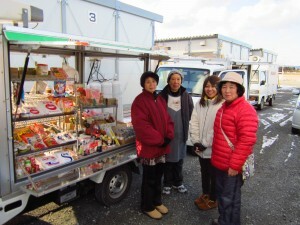 Her story has touched the hearts of the residents of Minamisoma as well as other foreigners. “ When I walk to stores or meet people on the street, they say “thank you” to me which makes me realize how important it is to be here at the moment. The people are happy that foreigners care,” she explained. Only 4 foreign English teachers remain in the city. O`berg is from Pendelpon city in Oregon, the sister city of Minamisoma. Her first visit to the town was as an exchange student six years ago. “The visit was for three weeks and during the first few days I was really homesick. But the last week was totally different. I just did not want to leave,” she explained. That love for Japan—the food and people—was what made her return to help out and then to take the major decision to come back again and stay. She spends her days teaching English and working at the international centre at Minamisoma helping her co-workers to organize festivals, encourage children to study and be happy and other activities for volunteers who visit to help out. “The town is coming back to normal. Shops are opening up. Everybody is trying to get back to normal despite the fear of radiation,” she said. O`berg says there are still many ways to help those affected by the disaster. 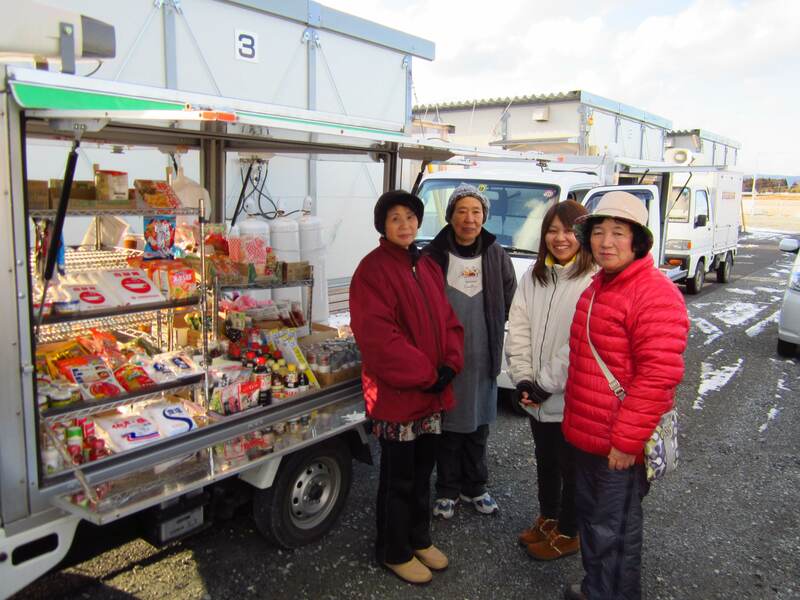 Large numbers of displaced people in Fukushima are now living in temporary housing that are located often away from the cities. An important activity is bringing them healthy food and also visiting regularly. The elderly need friends to talk to in order to lift their spirits as their lives have been disrupted and their children have relocated elsewhere. “The Tohoku cultural identity is based on close-knit communities. The breakdown on this base is particularly hard on the people. There is a lot to do to ease the hardship,” she explained. Her parents living in Oregon are supportive of her decision, especially her mother, who says O`berg, understands her “passion for Japan” and also commitment to public services. One year after the disaster, the people affected by the nuclear power accident face an uncertain future against the radiation risk that has forced thousands to leave their homes and livelihoods with no prospect of return. O`berg feels the key now is to ensure them they have not been abandoned. The presence of a foreigner is particularly welcome in the area that struggles with their daily lives and also subtle forms of social discrimination in conservative Japan.